For specific Rules and Check In Time governing our show classification, refer to Division Rules and regulations for your animal. Each exhibitor will be issued two (2) hanging passes for the night of the show. If this pass is not hanging from mirror or on dashboard, the vehicle will not be allowed in Gate 1 and will have to park in the main parking lot. The Fair will furnish daily veterinary service while animals are at the fairgrounds; the Fair will not be responsible for loss, health or injury of any animal. All animals must be clean and well groomed. Pens must be neat and clean in order to qualify for premiums. There will be a Clean Stall Award for each night. Exhibitors are encouraged to keep stalls clean and use exhibit cards for their space. Animals must be owned and in possession of the exhibitor by August 1, 2018. 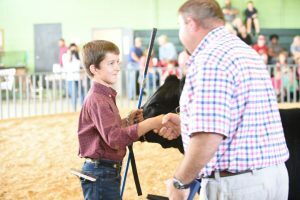 All exhibitors must be members of FFA, 4-H or be pre-club age and must exhibit own animal. All entries must be shown by owner unless cleared through the Show Committee. Any exhibitor with a disability or handicap may have another exhibitor assist him/her if necessary. The Superintendent in charge and Division Chairmen shall make up the Official Show Committee. They will settle any questions not covered by these rules and will be the governing body on any question arising. 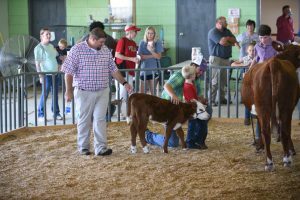 If exhibitors cannot agree to follow decisions, he or she will be barred from any participation in any part of this livestock show. All purebred entries must show date of birth and registration information to enable Livestock Committee to properly classify each animal upon arrival. Five of any one breed will constitute a Breed Show. If there are not five purebreds of a ny one breed these will be placed in “Other Breeds” Show. 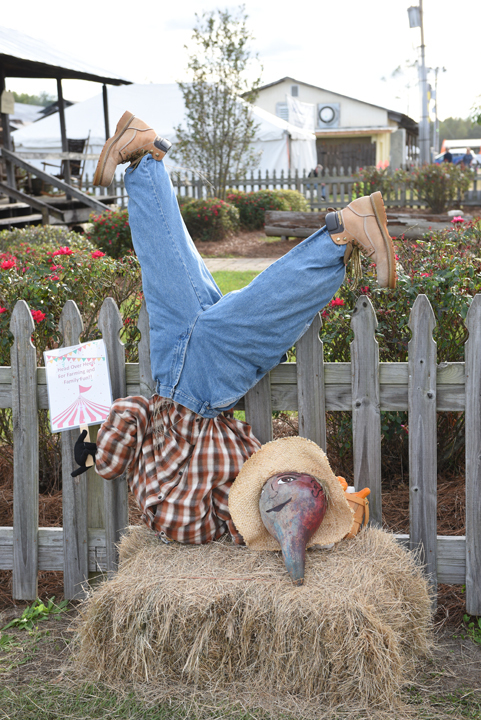 All premiums will be paid by the Comptroller of the Kiwanis Ogeechee Fair and will be available to exhibitors at the end of the shows each night. Honey entries will be located in the Main Building during Fair Week. While every reasonable precaution will be taken for safeguarding livestock, it should be understood that the livestock is entered in competition for prizes and that the owner assumes all responsibility for any accident, loss or damage that may occur. Neither the Fair Management, its officers nor agents will be responsible for any such accident , loss or damage. All livestock MUST be in place by the time designated, or otherwise they will receive no consideration from awarding committees. Judges will be appointed by Fair Committee. Exhibitors will held responsible for the cleanliness of their space surrounding same. If it is ascertained that any exhibitor, in any ungentlemanly manner, refuses to comply with the regulations of the Fair Management and has taken exception to the judgment of a judge or an awarding committee, the Fair Management shall bar the offending person from competition for premium or exhibiting on the fair grounds until he shall have made proper amends and has been re-instated by a vote of a majority of the Fair Committee. An exhibitor who tears off a premium ribbon, or authorizes any person to do so in the presence of the awarding judge , or who refuses to accept a ribbon from the judge, or otherwise insults the awarding judge, shall forfeit the premium or diploma and be excluded from competition. No Smoking or lighted candles, lamps, matches, etc., will be allowed in barn.